When I go out to shop I would like to have extra storage to put my things in and I think this would work for me. Needed a carrier for new walker. Reasonable price and color I wanted. 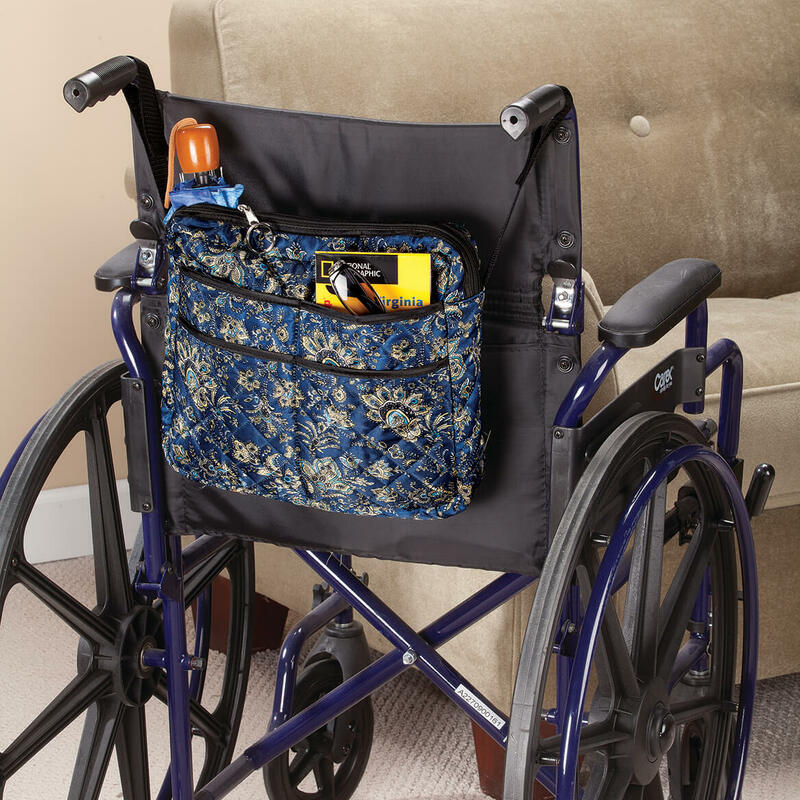 Will use with walker and wheelchair. I need something to carry a few things when I'm in the chair. 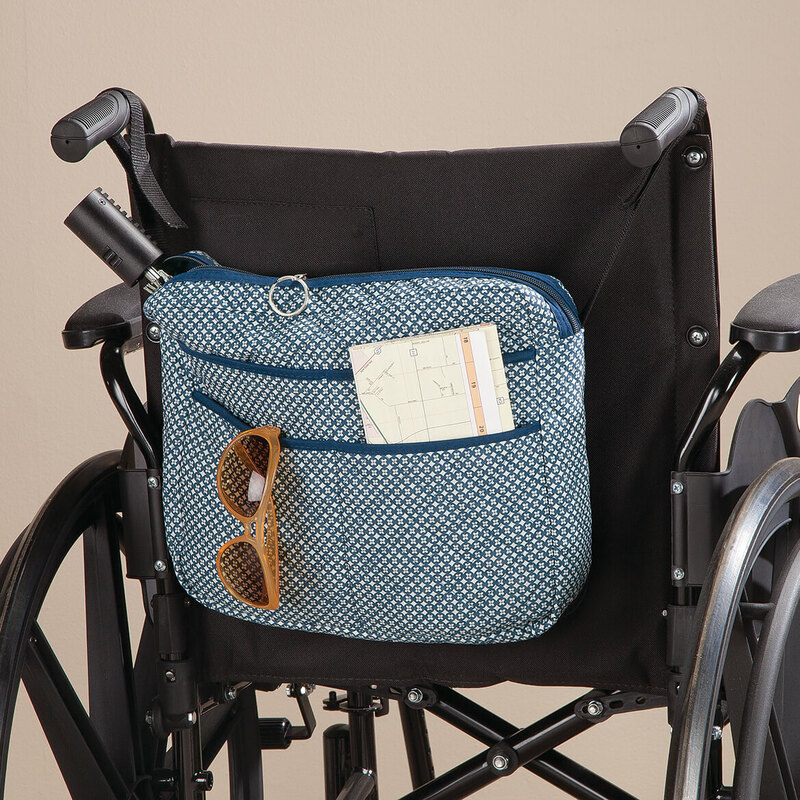 Husband is in a wheelchair, need somewhere to put stuff. purses just don't work when you are in a WC. For my sister-in-law,to help her take things from room to room. Without the fear of dropping things and having to lose balance in picking up items. My mother holds a plastic bag with items while using her walker. 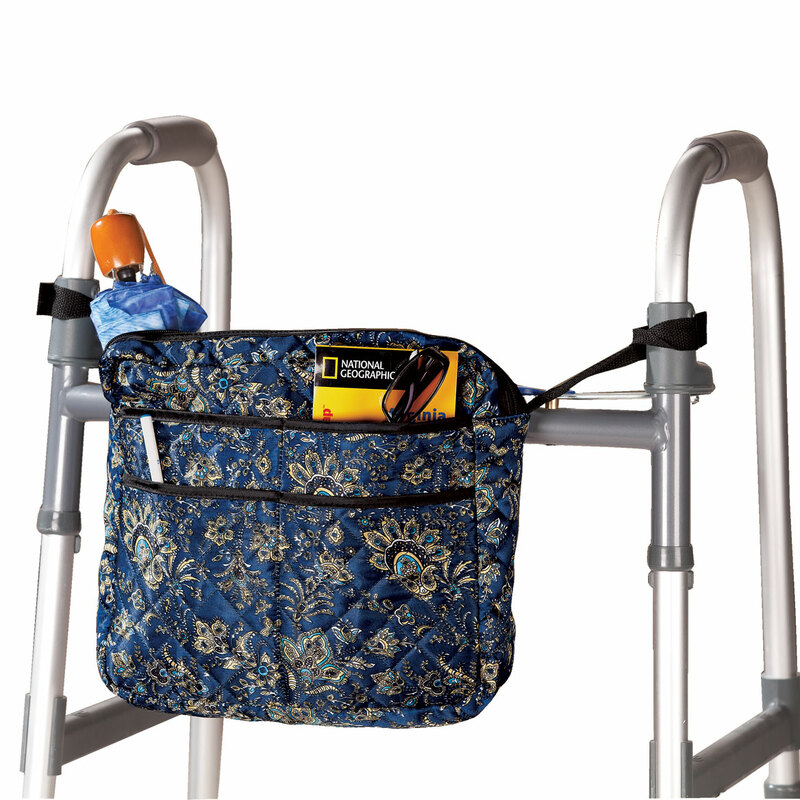 This looks like it would be very helpful as she moves around the house with items, leaving her truly hands-free to hold on to the walker. 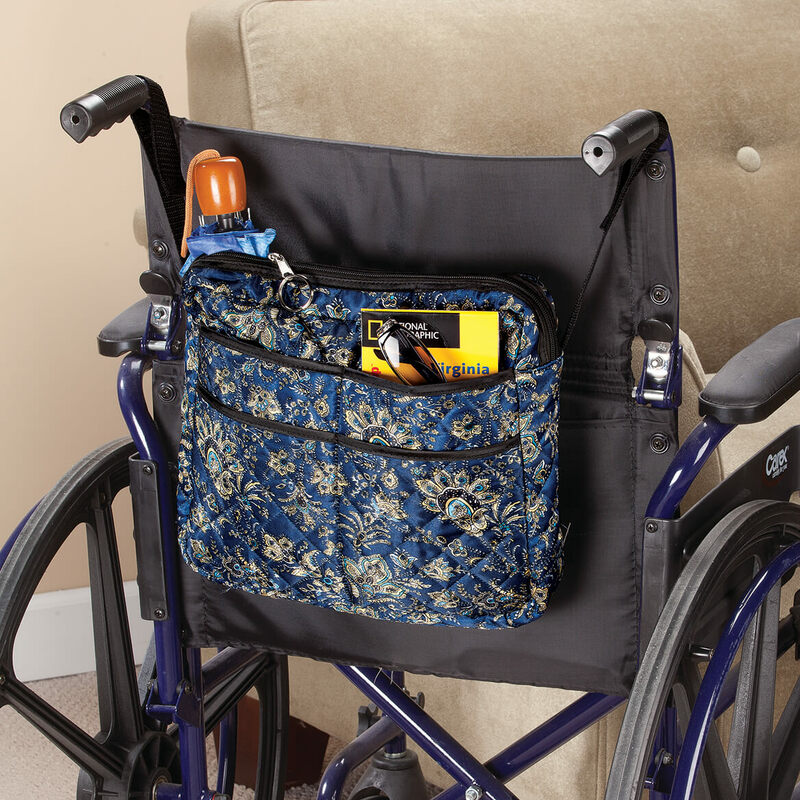 I have been looking for this item, in regular therapy stores they are $50+, this is a deal! can't carry my things and use walker..this looks great. 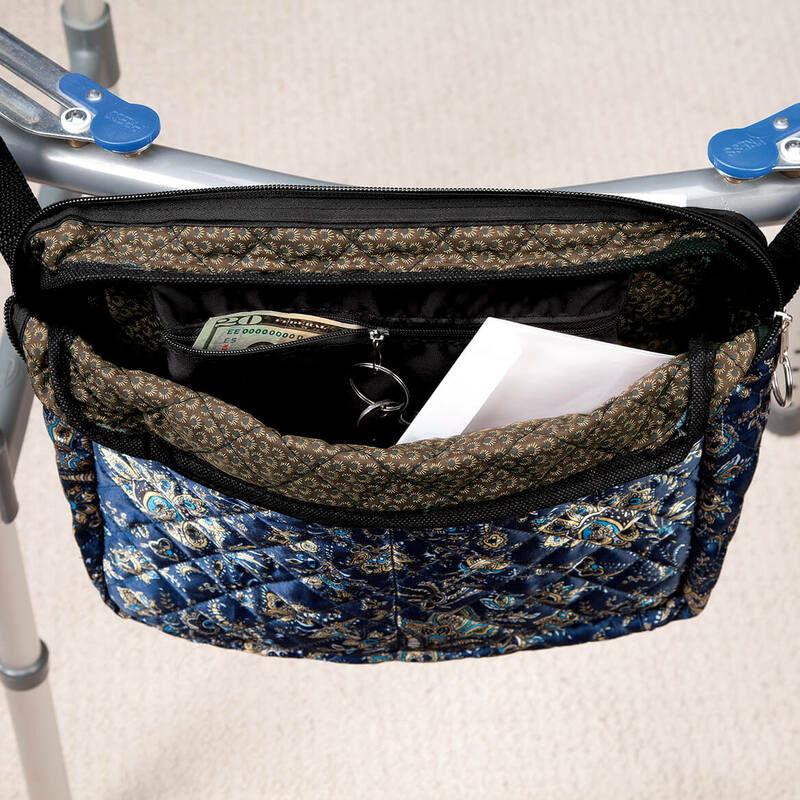 My step mom recently needed a walker the basket is nice but a bit of a pain when loading it in and out. I thought something with a zipper and pockets would make her life easier. The walker has. 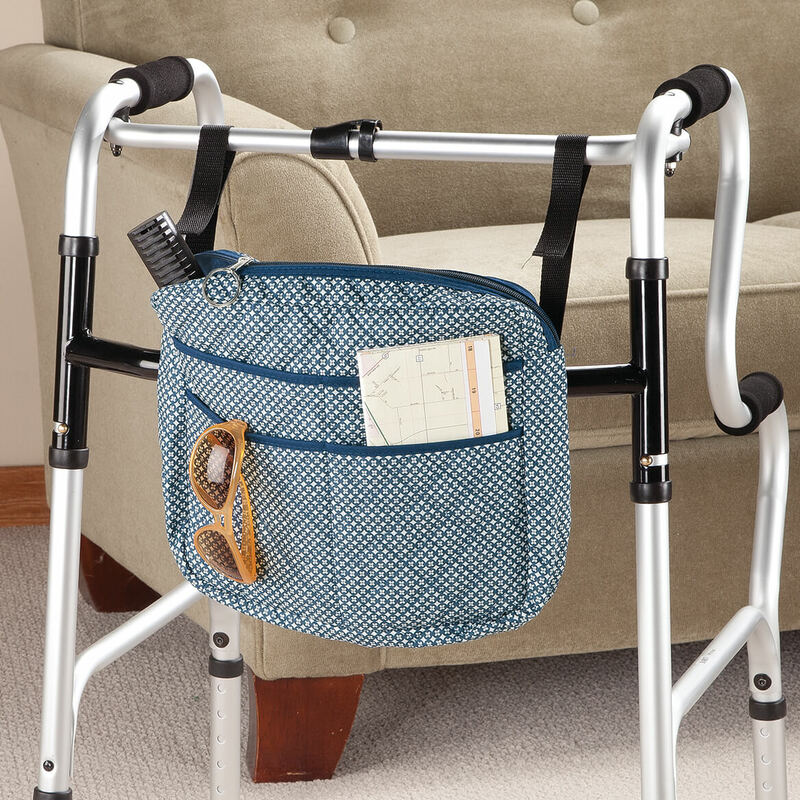 This looks ideal for my mother's walker. Essentially gives her another set of hands. BEST ANSWER: Thank you for your question. An Ipad should fit in the big pocket. We hope this information will be of help to you. Yes you can, plenty of room. Yes, an IPAD will fit. Description says attach by hook and loop straps. Are they Velcro? BEST ANSWER: Yes they are. It's a nice bag. I think another set of straps on the side toward the bottom would do well. I bought it for my step mother. She always has her phone, tablet, diabetes stuff. It's easier to load and unload with the bag. Yes, there is something like velcro on the straps. color selection not clear. 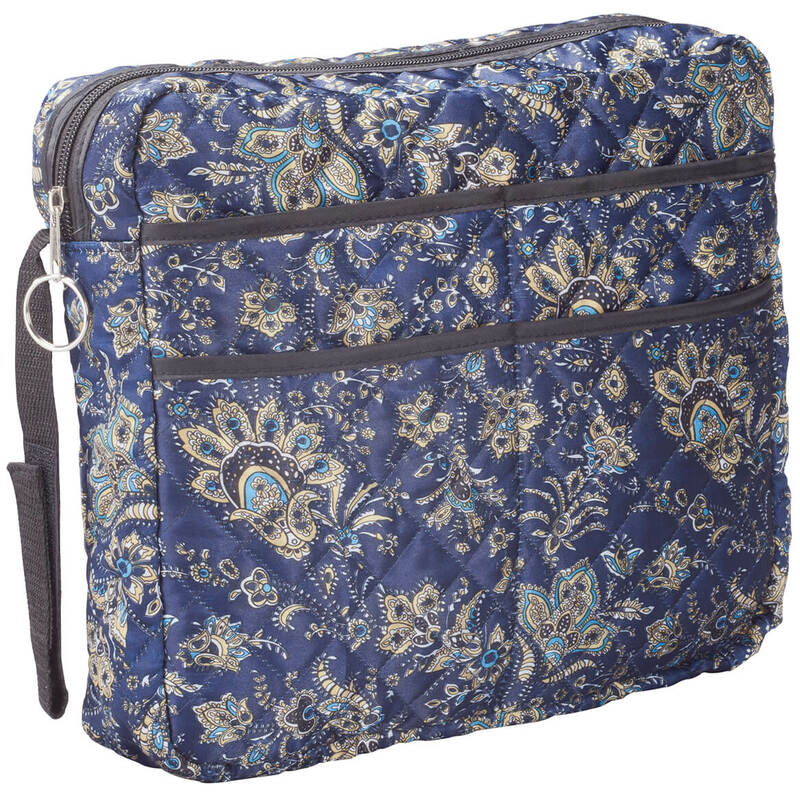 Which bag is blue and white, and which is navy print? When you click on the pictures, it does not specify which it is.